Hasliberg got hit with a fresh batch of snow last night! Though no more slopes were open the ones that were were in a much better condition today, so I boarded my first ever red run! 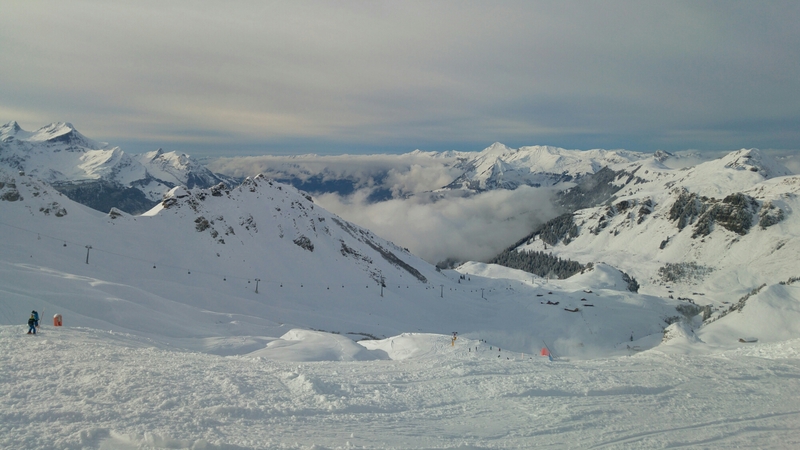 The views were the main change between the level up in piste! Being that high up in the mountains was incredible.. And I managed to end up at the bottom safe and sound.. Twice! Progress!